Plot Jacqueline du Prï¿½ and the Elgar Cello Concerto, a documentary by award-winning film maker Christopher Nupen, explores the artistic personality of one of the finest performing musicians of the twentieth century, with the recurring theme of her special relationship with the Elgarï¿½s melancholy Cello Concerto. The film begins with an account of what she did after the onset of her illness when she could no longer perform in public. 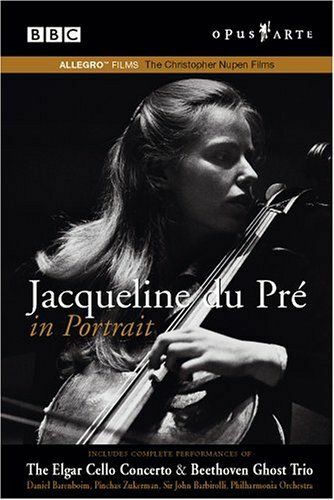 It ends, at her own request, with a re-edited version of the original portrait film which sketches her childhood and the development of her musical talent, her meeting with Daniel Barenboim and their marriage in 1967, her special relationship with the Elgar concerto and, finally, a complete performance of the work with The New Philharmonia Orchestra conducted by Daniel Barenboim; a performance which has become legendary.